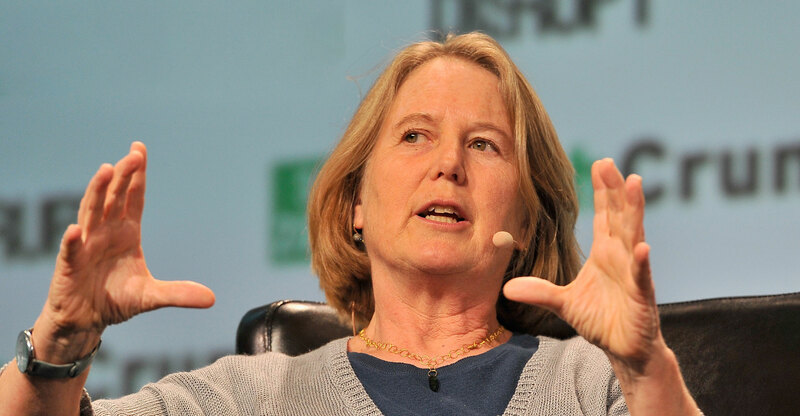 When Diane Greene first joined Google in late 2015, her first task was to assemble the company’s disparate and often wayward cloud projects and whip them into a real business. Sales, marketing and engineering divisions didn’t work together well when pitching companies on Google’s Internet-based computing power, storage and services. And some cloud offerings lacked proper credentials to sell to regulated sectors like the government and health care, a handicap in tackling rivals. Now, the software veteran and CEO of Google Cloud said she’s done all that, declaring in an interview that there are no longer any “blocks” to selling to corporations and other large organisations. Now she’s prepared to make a big purchase to catch market leaders Amazon.com and Microsoft — if the deal fits. At Google, Greene spent US$625m to buy software firm Apigee, and made a succession of smaller acquisitions. When asked, she confirmed that bankers have floated much larger deals for enterprise firms including Red Hat and ServiceNow. She declined to say what she thought of those ideas. A spokeswoman for Red Hat declined to comment. Representatives for ServiceNow didn’t immediately respond to a request for comment. Google has made a big push with its G Suite software for workplace tasks like word processing and spreadsheets. But Greene ruled out acquisitions of additional business tools that resemble popular consumer applications. That’s a large part of the corporate technology market, which could include services like Slack Technologies — although she didn’t name any companies in this segment. Google reported in February that its cloud business hit $1bn in quarterly revenue last year, its first substantial financial disclosure about the unit. Third in the market behind Amazon Web Services and Microsoft, Greene is confident that Google’s distinct security and machine-learning tools give it an edge. She also sees a gigantic market ahead: Greene estimates the current market at around $45bn, with a ceiling of some $1 trillion. For 2018, Greene and her deputies mentioned a focus on winning customers in health care, energy and financial services. Greene said Google will keep working to sign cloud deals with the government, too. The company recently got its FedRamp certification, a key clearance needed to provide cloud services to the US government. Over the past two years, Alphabet has scaled back several costly initiatives, including projects in fibre broadband and drones. But the company has ploughed money into Greene’s division. (Greene, an Alphabet director, said she recuses herself from board votes on cloud acquisitions.) That investment is indicative of the support that Alphabet CEO and Google co-founder Larry Page has for the business, Greene noted. Greene tackled several other topics in a wide-ranging interview, including China’s rise as a technology world power and potential opportunities in that country for Google’s cloud business. “China wants to be competitive, and having international companies helps them with this,” Greene said, noting that Google recently opened an artificial intelligence lab in Beijing. Cloud computing has the potential to dissolve borders and other barriers between countries and encourage companies and nations to work together more, she said. Greene admitted this may be “pollyannaish”.